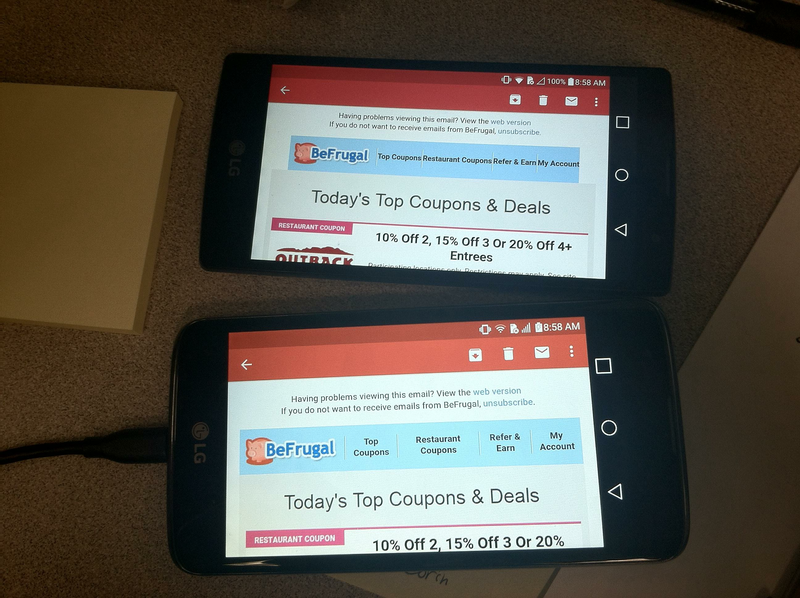 Has anyone ever come across such an issue where on one Android device, it shows the HTML email in Gmail app correctly, while in another Android device, it will show the email differently? I went through all of the codes, and replaced all width exceeding 200px to either auto or width: 100%;. That fixed the issue for the bottom device, but not the top. Hence the confusion. If anyone has such an issue, and knows how to fix this, how do you fix this type of issue? If this is your first time seeing this issue, I guess it is a good idea to spread the news about this. Are both phones running the same version of Android, and the same version of the Gmail app? Yes, indeed. Same codebase, same OS version: Android v5.1.1, Gmail app all updated to the latest. Are they both the same email address? The app renders Gmail accounts differently to no Gmail accounts. Alright, I fixed this issue. I need to specify width, max-width, and min-width in the nested <td> inside the <tr>.